The Measure G Citizens Oversight Committee will be appointed by the COG Board of Directors. The terms for the committee members will begin July 1, 2019. The representatives will serve staggered two-year terms and can be reappointed. The Committee will meet up to four times a year. This is a volunteer position and no compensation will be paid to members. 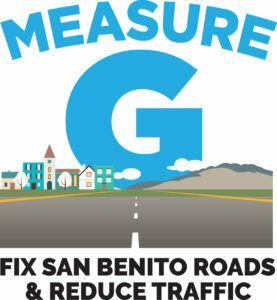 The Committee will consist of San Benito County residents that represent the geographical, social, cultural, and economic diversity of the County to ensure maximum benefit for transportation users. Elected officials of any government and employees from any agency or organization that either oversees or benefits from the Transportation Safety and Investment Plan are not eligible to serve. The application is available HERE. Applications are due April 30, 2019 by 5 p.m.